Can I use a prepaid card on DraftKings? Yes, you can use any pre-paid card on DraftKings. Enter it as a Credit/Debit card. Some states may limit your deposit options to Paypal only, if that’s the case just use your prepaid card as a deposit option on Paypal and then deposit on Draftkings. There are a lot of players who are a little reluctant to give their personal bank account information to website that they have not done business with before online. DraftKings is a site that you really don’t have to worry about, they have been around for a few years, have a long established list of customers (myself included) who have never had an issue regarding deposits or withdrawals. In fact, the customer service is fantastic. If you have any question or concern you’ll get an answer quickly (I can honestly say, I never have had an issue or had to wait long for a response). You can purchase prepaid cards most everywhere, just get the dollar amount you want to use on DraftKings. It doesn’t matter what credit card brand either, they all will work on DraftKings. Non Re-loadable Gift Cards are probably your best bet, once you purchase them there are no more “card fees” involved, no personal information is needed and you can use them anywhere. If you already have any gift cards left over from Christmas or a Birthday with any amount over $5 still on them, you can also use those for depositing. It’s a great way to use those small-oddball amounts (even the odd cents left) remaining on those cards. 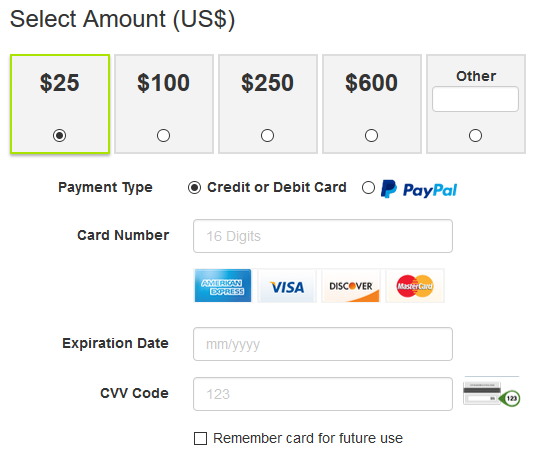 On payment type, select Credit Card. Enter all the card information shown on the deposit screen and the amount you wish to deposit. 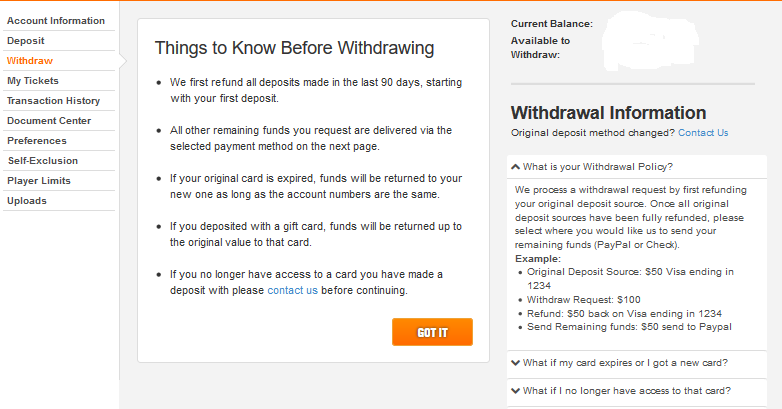 Click the orange DEPOSIT button and your ready to play. 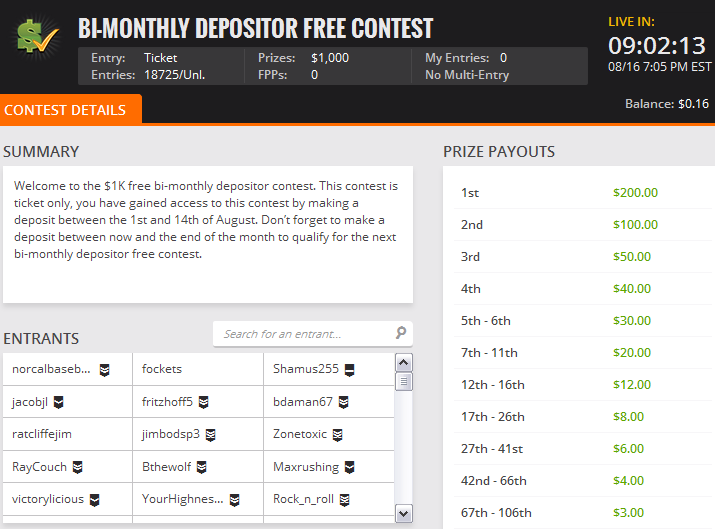 You’ll get a Free Entry to any $3 contest you choose, when you make your deposit. and entry to a Depositors Free Roll. Cash Outs with your Prepaid Credit/Debit CardsYour first cash out will be credited to your original deposit method, up to your original deposit amount. Example: You deposited $50 via your Visa Credit Card, the first $50 will be refunded to your Credit card and any amount after can be withdrawn by any method you choose. If it was a non refillable gift or prepaid card, then contact the Draft Kings Customer service and let them know you do not have access to that card and they will use whatever method you choose. You get Entry to Free $1K contest on the 15th of that month…..
You get Entry to Free $1K contest on the 1st of the next month. As soon as you make the deposit you’ll get a ticket credited to your account and you can use it to enter the next Free $1K contest you qualified for. You’ll also get complete access to the DraftKings Playbook for the best inside fantasy information on how to build a winning line-up. Visit DraftKings Now to set your account up and start playing the best daily fantasy games on the internet.